Privacy at Risk: Should you be Worried? The topic of privacy is important to the POS industry and POS users. How much data we collect through email lists, and loyalty programs and delivery systems continues to grow. Many POS systems contain personal information like name, address, city,state, zip, mobile number, email address, purchase history, birthday, credit card info, in-store video monitoring, in-store beacon monitoring and it continues to grow. With hundreds of successful hacks of companies and governments of every size, no one can be 100% certain their data cannot be breached and liability extends way beyond the realm of credit cards. Today’s article looks at the privacy issues from the point of view of the individual. You privacy has been under constant attack since the Internet was released to the masses. Pre-web privacy violations came in the form of audio/video recording, photographs, phone “bugs” and other physical tracking activities (think private investigator). But today privacy is much easier to invade; spyware, server hacks, public video surveillance and browsing activity reports are all used to gain access to your personal information and activities without being near you at all. The recent fingerprint database hack on the U.S. federal government, for example, could impact 21.5 million current and former federal employees and job applicants. (The suspected perpetrators are believed to be part of the Chinese government.) This is just one in countless examples of privacy intrusion. Is privacy vulnerability becoming a real problem? Yes. And could the lack of privacy affect you personally? Yes! We’ve got NSA, CIA, FBI, DHS, just to name a few three-letter agencies that specialize in privacy intrusion. We’ve got drones, street cameras, Google Cars, PCs, “smart” TVs, iPhones, all capable of revealing intimate or innocuous details about our lives. Many who don’t have an issue with the advance against privacy intrusions will claim “if you don’t have anything to hide, you shouldn’t worry about privacy protection.” That argument reveals a false sense of security those privacy intrusion defenders have. Companies that support a reform of government surveillance laws include Apple, Google, Microsoft, AOL, Yahoo! and LinkedIn. If they are upset, shouldn’t you be? Let’s look at some personal details that can be revealed to unwanted eyes. Personal health records. The Affordable Care Act introduced a requirement that medical practices maintain electronic health records (EHR) for the purpose of streamlining billing activities for Medicare/Medicaid patients. With this new requirement, our personal health is captured in digital records that cannot be protected completely. Work history. Most employers keep digital records of our work histories. Any relevant activity, such as taking sick days and vacation time or productivity reviews, can be accessed by court order or ambitious hackers. In addition, credit bureaus and companies that provide “investigative consumer reports” collect employment history in digital form, leaving the information contained in their reports potentially vulnerable. Credit history/purchase history. Today cashless transactions are recorded every time your card is swiped. Most of our financial lives are collected by store systems, credit card issuers, credit reporting bureaus and other entities. Detailed account records can be accessed, which provides not only an opportunity for identity theft but also contributes to your profile. Mobile device activity. Equipped with global positioning systems (GPS), cell phones can be instantly discovered and located at any time. Phone calls, text messages and web browsing can all be captured by prying eyes. With the rise in demand for mobile apps, hacking has become an easy practice for many privacy intruders. Education records. Institutions of higher learning (along with many public and private primary schools) have been moving to electronic records systems for years. This means academic failures, behavior issues and even lunch orders can be accessed by privacy intruders. Web browsing activity. Anytime we log on, our activity has the potential of being traced with a tracking pixel that not only reveals what page you’ve visited but also the activity – such as clicking a link – you perform on the page. Most people are familiar with privacy concerns that have been voiced about search activity. While search engines like Google and Yahoo! have taken steps to protect search activity, the threat of hacking remains because our search information is stored on vulnerable system. On top of all that, Internet service providers (ISP) and the company you work for have access to your browsing activity, and that activity can be hacked or demanded by government agencies. So, how can access to all this private information impact you on a personal level? Identity theft, Internet censorship and financial account hacking are just a few ways you can be harmed because of privacy intrusion. But there are even more problematic situations you could encounter. Unfortunately, U.S. federal, state and local government bodies can use your private information against you in several ways. 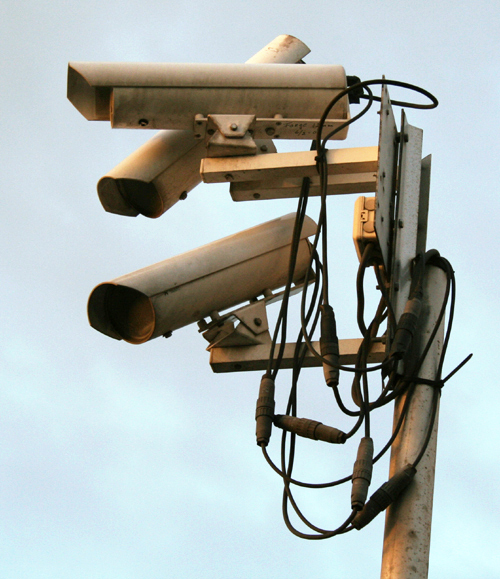 Here are the top seven ways you can be harmed by privacy intrusion from government agencies. False arrest/imprisonment – If erroneous information about you is used to name you as a suspect, you could land up in jail under a false charge. Once you’re held, it becomes very difficult and costly to clear your name. Indefinite detention – The Office of the President has the authority to indefinitely detain citizens accused of terrorism under the National Defense Authorization Act, signed into law in 2011. While this may not seem to apply to most of us, the risk of detention can hang on a fairly flimsy accusation. Arbitrary justice – The decision as to whether you will receive a trial in the federal courts or in a military tribunal now comes from the president. Many countries around the world have criticized this provision for lacking basic due-process protections. Warrantless searches – The federal government can now order warrantless surveillance, including a new capability to force companies and organizations to turn over information on citizens’ finances, communications and associations. Secret evidence – The government now routinely uses secret evidence to detain individuals and employs secret evidence in federal and military courts. The evidence does not necessarily have to be presented to the accused. Assassination of U.S. citizens – The commander-in-chief now has the right to order the killing of any citizen considered a terrorist or an abettor of terrorism. Certainly, this is an extreme situation but nonetheless can arise because of erroneous use of private information. Secret court – Over the past decade, the U.S. government has increased its use of the secret Foreign Intelligence Surveillance Court. Using secret warrants to target individuals deemed to be aiding or abetting hostile foreign governments or organizations, the court can be a one-way route to detention or, worse, death. You could even be accused of committing war crimes because of the use of private information! Even though most of us lead boring, normal lives, data about us is being constantly gathered, regularly distributed among government agencies and sometimes analyzed. For those who don’t believe access to private information can be a problem, here are four problems with data collection. Incorrect data that can’t be corrected. Data can sometimes be incorrect or missing key contextual elements. Bad data can lead to bad decisions, which could significantly affect your life. Digital marketers complain about the challenges of making assumptions about consumers because of poor data collection, organization and analysis. An accumulation of seemingly innocent data synthesized to form a profile. Just like in the Orwell classic 1984, we can be tracked through a number of independent activities that by themselves don’t constitute a level of privacy that most people would be concerned about guarding. But taken together these activities become a persona that surveillance agents could use against you. Identity theft. This one has been written about many times, but often discussing the financial implications of identity theft. There is a more nefarious purpose for stealing your identity: someone could commit criminal acts in your name. The time, effort and costs associated with clearing your name can be significant. Not a problem now, but could be in the future. Although it may not seem like privacy intrusion would be an issue at this time of your life, what impact would be felt if your privacy was compromised prior to a significant life event, such as moving to another country? Could you be detained or prevented from leaving altogether? Privacy intrusion can have a life-long impact that should not be ignored. In the end, we all sacrifice privacy for the sake of convenience. This sacrifice can seem trivial but beware; when it feels like there is somebody watching you, they are often not doing it in your best interests. Take all necessary precautions to protect your privacy or it could be used against you. By Alex Brown – Alex Brown is a freelance author with over 10 years experience writing in digital marketing, media, technology and other verticals. His experience includes work for Adobe, Citrix, Target, MGM Resorts International, Yahoo!, The Point of Sale News, The BarCode News and other brands. He can be reached at AlexB@WordDirectME.com.